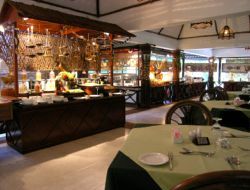 The resort has one main restaurant and a sunset grill hut. 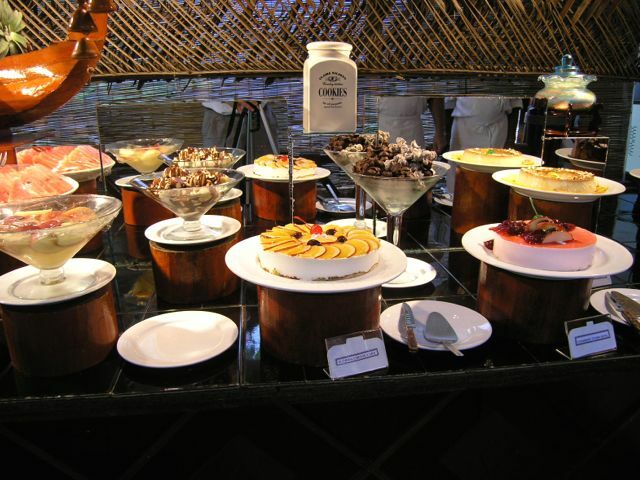 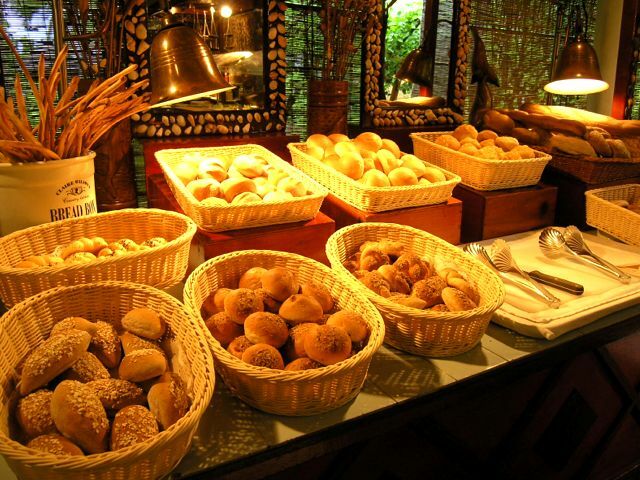 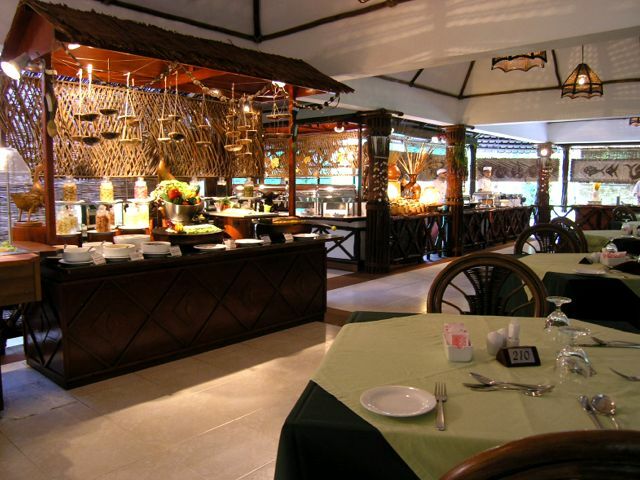 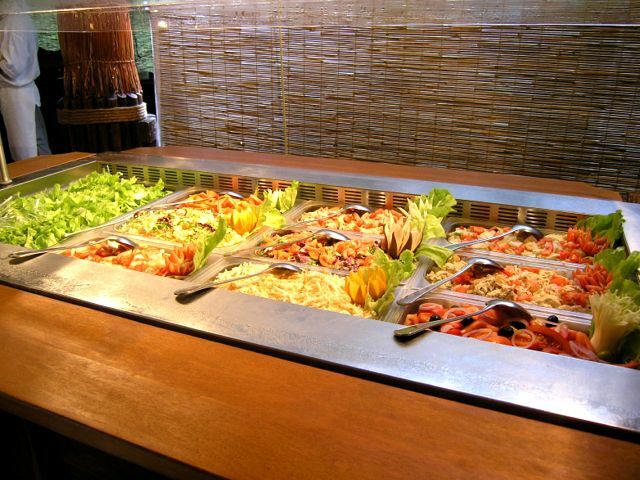 The main restaurant serves buffet style breakfast, lunch and dinner, serves local as well as international cuisines and is set amidst tropical vegetation and allows one to dine in a tranquil atmosphere. 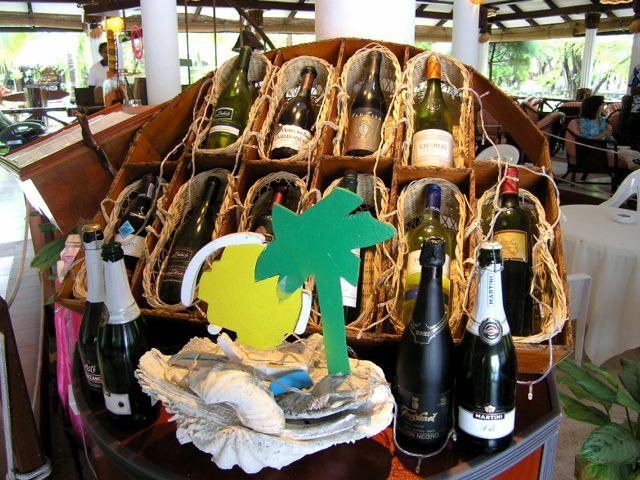 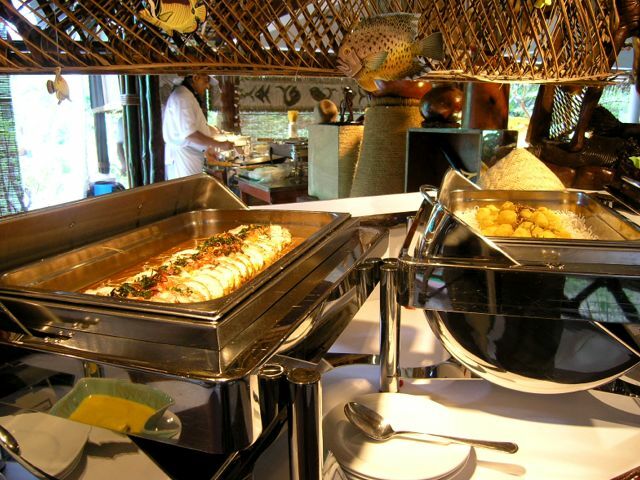 The restaurant also organises theme nights such as European buffets, Maldivian night also known as fishermen's night, Chinese night, Italian, Indian, Sri Lankan, Indonesian & Asian buffet nights & special buffet corner daily at dinner time. 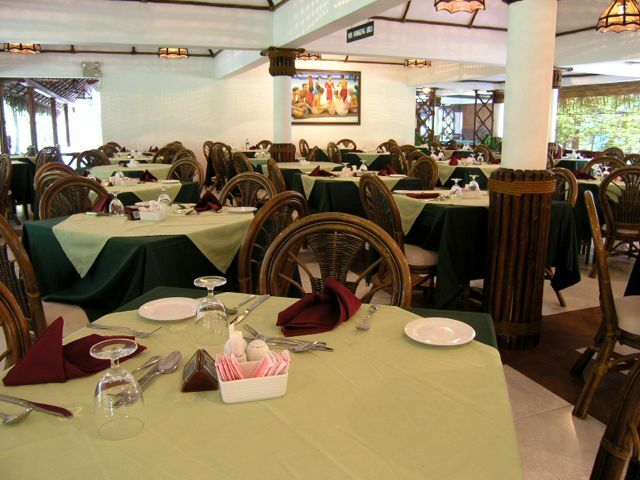 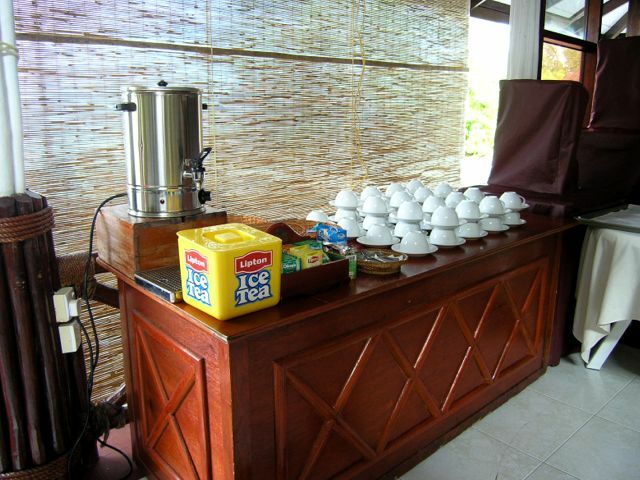 The sunset grill hut offers delicious grilled and seafood dishes for special dinners & special functions.  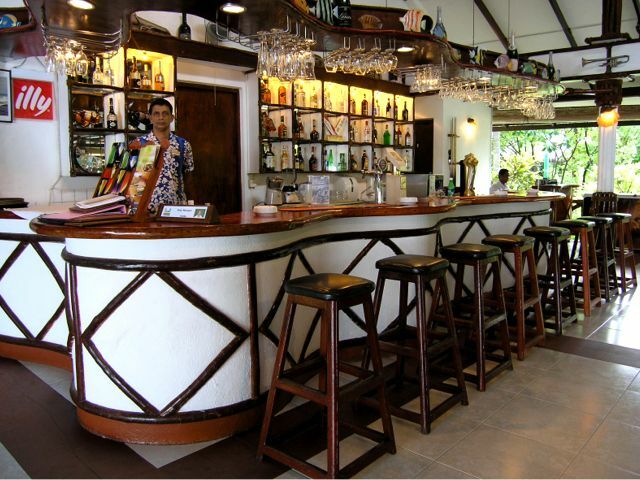 The Light House Bar is full at night and most evenings there is entertainment including DJ, karaoke or local music. 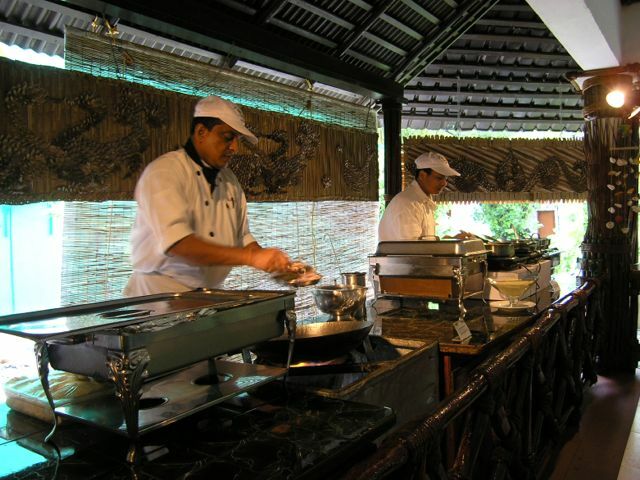 The restaurant, bar and reception all have that traditional Maldivian feel, with pillars and posts decoratively lashed with coir rope....perfect for a desert island.